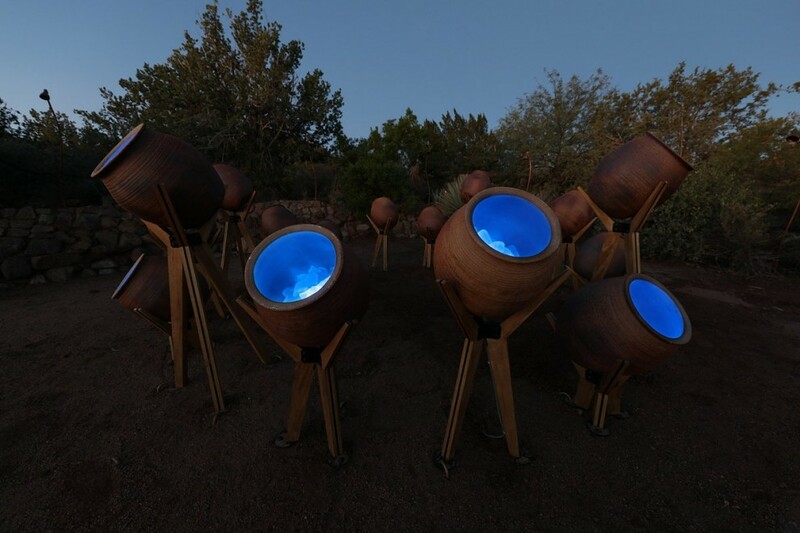 Inspired by and created especially for Desert Botanical Garden, Temperate Zone is Munro’s interpretation of the ingenious cooling pots created by the indigenous population hundreds of years ago that reside in the garden today. On visiting the garden in, Munro noticed that where people congregated, misting systems were used to cool the air. 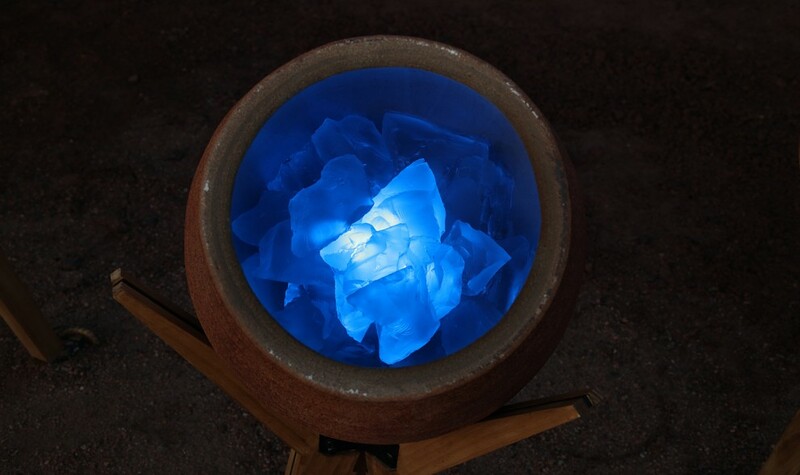 Temperate Zone creates a circle of 16 cooling pots filled and lit from within by gentle light and positioned to create a chilled-out zone for people to meet and converse.